Does that sound as odd to you as it does to me? Seems like it was only yesterday that HUD finally lifted the county by county limits on the HECM program and we went to a national limit of $417,000 that was raised just a year later to $625,500 and just stayed there but that was actually 2008/2009. 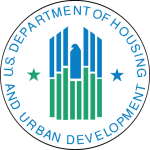 The Department of Housing and Urban Development (HUD) announced today that the recent Reduction of Mortgage Insurance Premiums (MIP), outlined in FHA Letter 2017-01 were suspended. According to posted information from Housing Wire, the letter stated that a subsequent Mortgagee Letter will be issued at a later date should this suspension or policy change. as stated in the letter this afternoon. Please see this link to read the full article, but know that CHM is committed to you and your borrowers and with this suspension of policy, there will be some loans that will need correcting in respect to compliance. Please contact us today should you have questions. 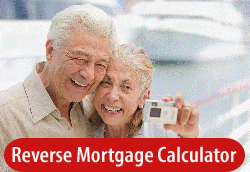 In the last 72 hours I sent an e-mail to all my clients, consumers as well as professionals, in order to alert seniors, specifically those 62 or over, about the NEW FINANCIAL ASSESSMENT RULES for REVERSE MORTGAGES. Everyone has family, friends, neighbors, or associates that may be impacted.